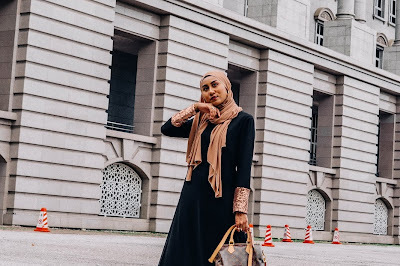 I've been a long, rectangular scarf kind of girl when it comes to hijab for as long as I remember—similar to the kind of scarf that you wrap around your neck when the weather is starting to get chilly. 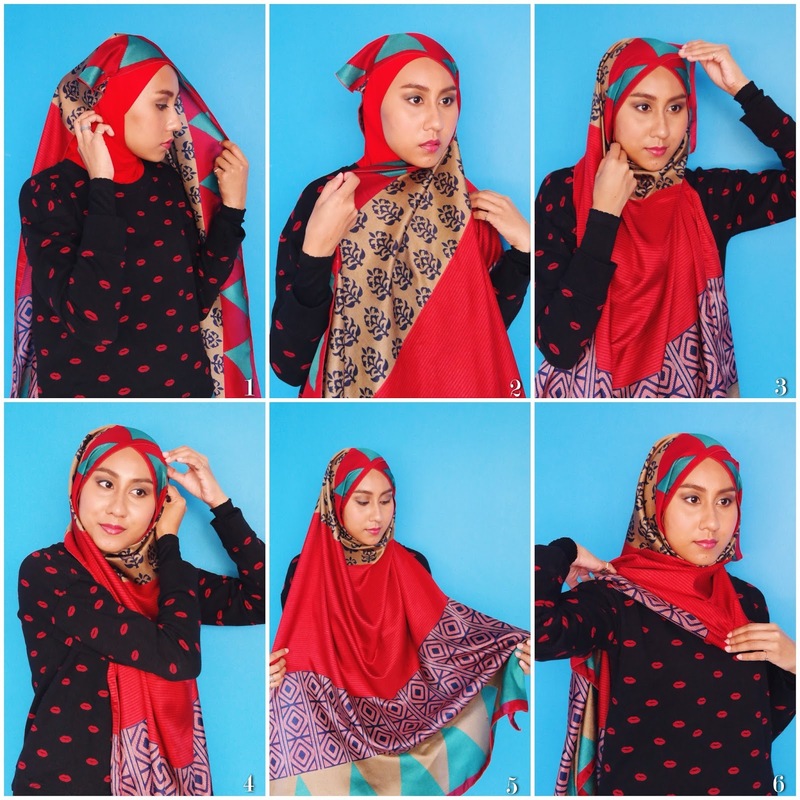 I remember when I first wore the hijab, wrapping a long piece of chiffon round and round my head and feeling the satisfaction when it's framed my face perfectly. 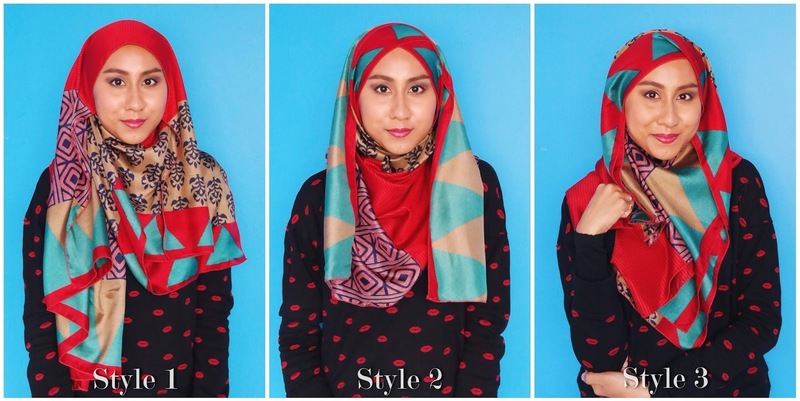 A few months ago though, my little brother brought home three "segi empat" scarves and asked me to choose one. 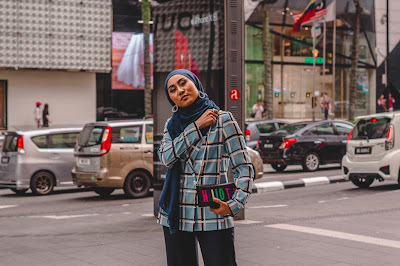 See, "segi empat" or square scarves are mostly perceived as old-school in the hijab world; square scarves were all the rage with your mother (when she was younger) and your mother's mother and your mother's mother's mother. I would have said no thank you to my brother if it weren't for me being a sucker for rich hues, because one of three scarves was this glorious mix of deep red, emerald green and gold, all of which are my favourite colours. After saying thank you so much to my brother (my good manners are still intact, don't worry), I went home with the scarf where it stayed in my closet for weeks. 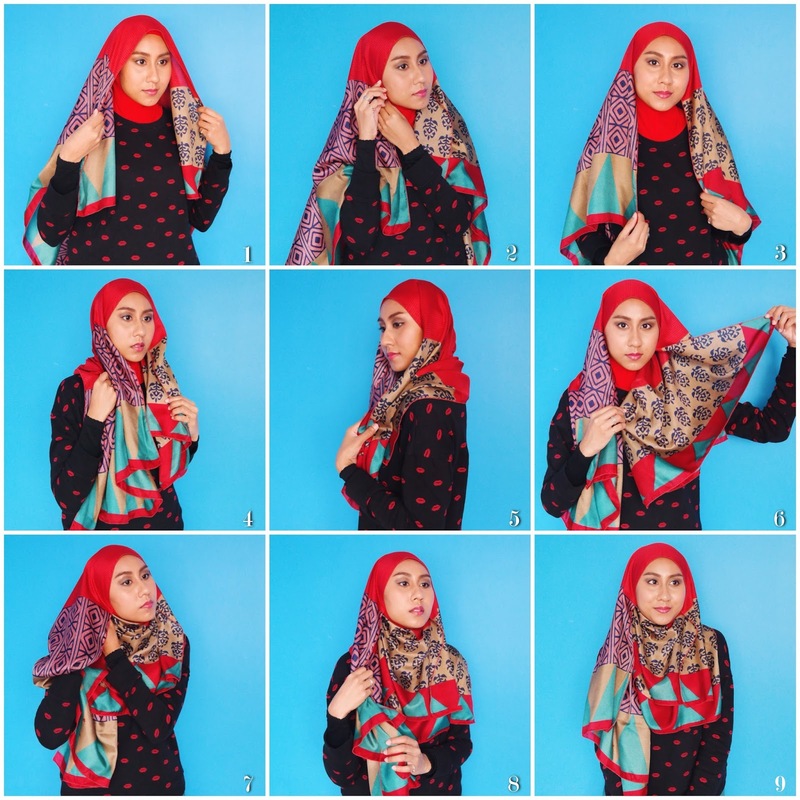 One fine day, I decided to unearth it and looked up square hijab styles online to see what I could do with it, and what do you know, there is a whole other world of square hijab styles out there, and it is actually interesting and wonderful. 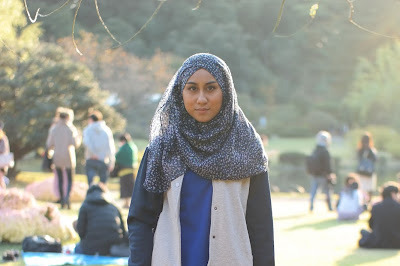 So many modest fashionistas have changed the square hijab game, and I'm loving it! 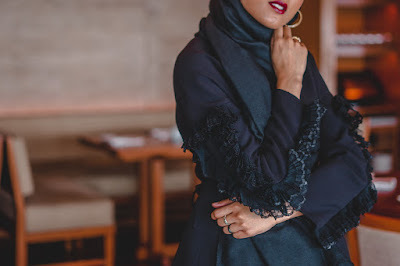 If you're into having a good coverage on the chest with your hijab, all of these styles are good for that but as always, all styles are totally adjustable to your own liking. 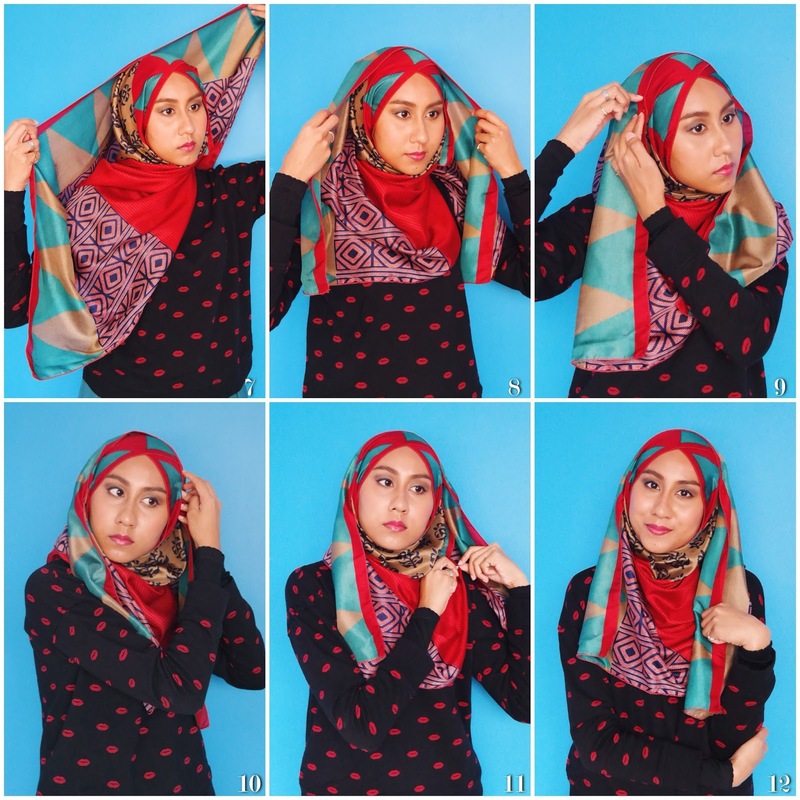 Read on to find out how to achieve each style! 1. 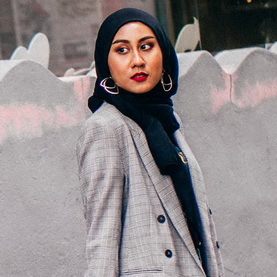 We're trying to get that criss cross effect on the forehead to resemble a turban, so first of all, place the scarf diagonally on your head, with the one pointy end really near your ear. The excess scarf will now be on one side of your body. 2-3. 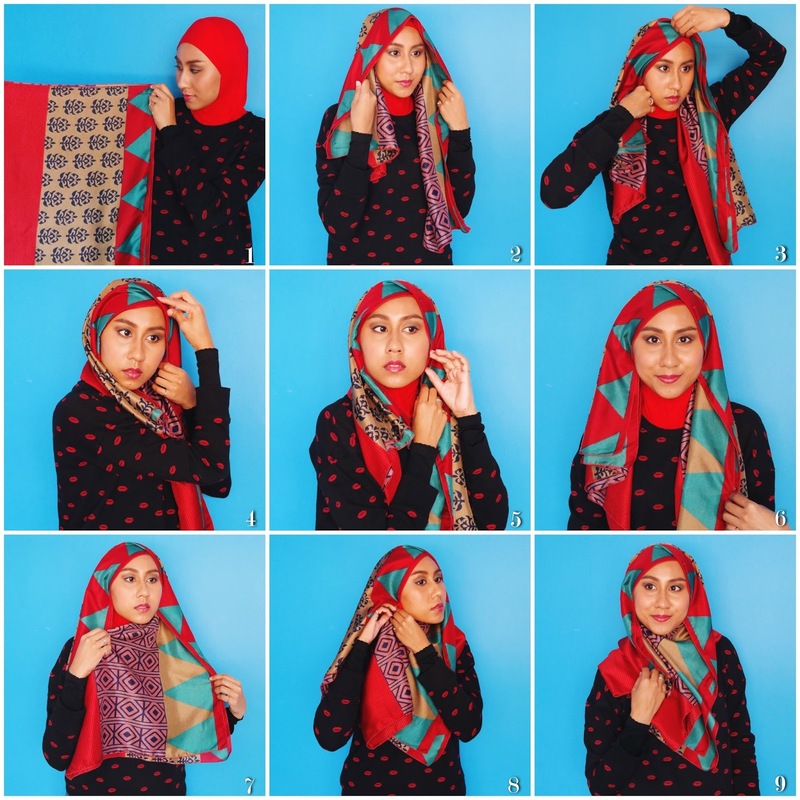 Wrap the scarf around your face and cross it at the centre of your forehead. 6. Bring that excess scarf to the back on one side; I brought it to my right side here, but you could switch it up! 9. You're ready to go!